A professional in the recruitment industry for the past 15 + years, Lisa joined Summit Search Group with one objective: to provide top-notch service and advice to clients and candidates alike. With her natural talent to connect and build strong business relationships, Lisa has an innate ability to accurately understand your goals and efficiently deliver on your search requirements. She has a keen sense of the intangibles that define a successful placement, and makes it her mission to blend a cultural fit with the required skills and proficiencies for each opportunity. Helping clients and talent find their perfect match brings her immense joy and satisfaction. 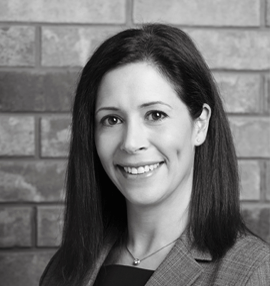 Lisa graduated with a Bachelor of Arts from the University of Western Ontario, and began her career in recruitment in 1997, with a global leader in professional staffing and consulting services. During her tenure, Lisa gained experience in Office Administration, Information Technology, and the Legal sector. In 2004, she joined a boutique recruitment firm specializing in placing top Creative, Digital, Marketing and Advertising professionals. She quickly developed a love and passion for the creative industry and has successfully made placements and secured relationships with top agencies and leading corporations in several sectors.